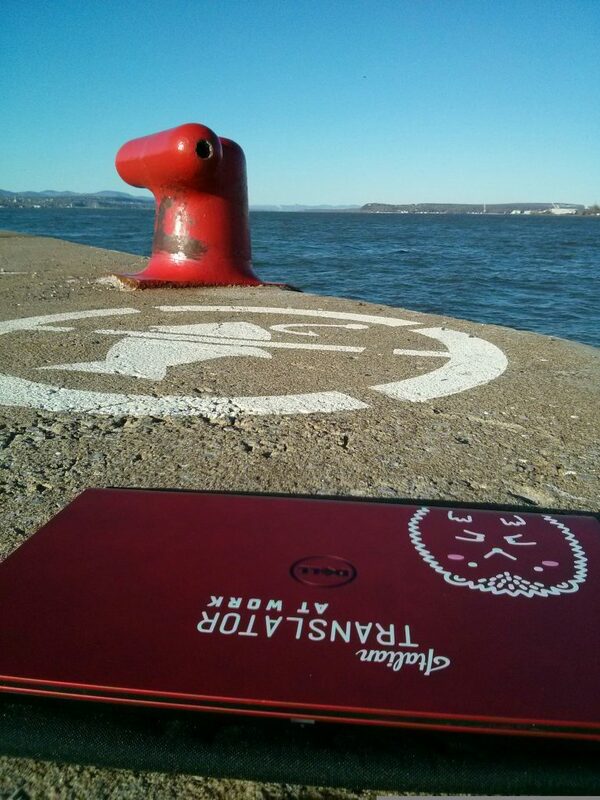 I got to Quebec City on a sunny day thanks to a Kangaride carpool. Since the premises were too good to be true, my phone decided to have one of its battery-sucking-for-no-reason kind of day, leaving me outside of Quebec City with no idea whatsoever of where I was supposed to go. Luckily, Saint Tim Hortons came to the rescue and while eating a fat muffin with my tea, I managed to charge the phone enough to get basic instructions to walk to the city. Quebec City is divided in two parts: the modern one and Vieux Québec, the fortified city that is a UNESCO World Heritage Site. 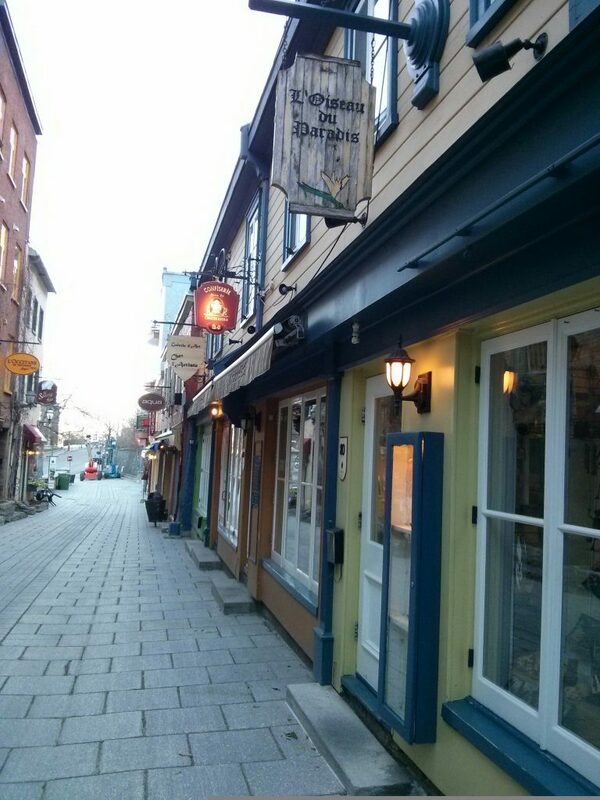 I walked from the outskirts of the city through the lower city to finally get to my hostel in Old Québec. Despite the backpack and the steep hills to get up there, it was love at first sight. I was mesmerized by everything I saw around me, everything. Since the article can’t be too long, here are the 5 things you can’t absolutely miss. 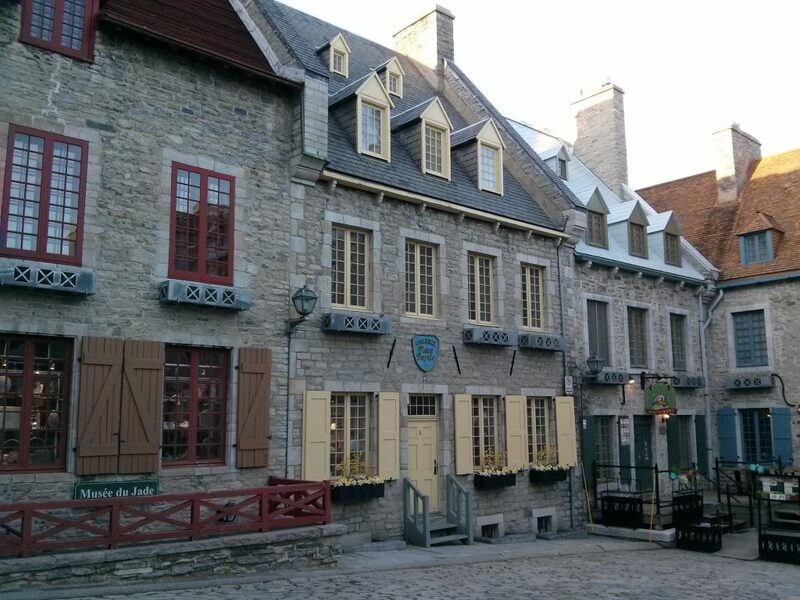 It’s the most characteristic spot in Quebec City, the one you’ll see in all the pictures and postcards. And for a good reason. In the two days I was in town, I went back three times and once at sunrise, with only a bunch of seagulls as companions. The colors on the deserted terrace were unbelievable, the biting cold, the empty space, the sense of freedom… being present in the moment, at the time of the day, with that view in front of my eyes is the ultimate reason why I travel. The best way to get there, in my opinion, is from above, meaning from the Promenade des Gouverneurs, a scenic walkway overlooking the river that connects the Plaines d’Abraham to the Terrasse Dufferin. 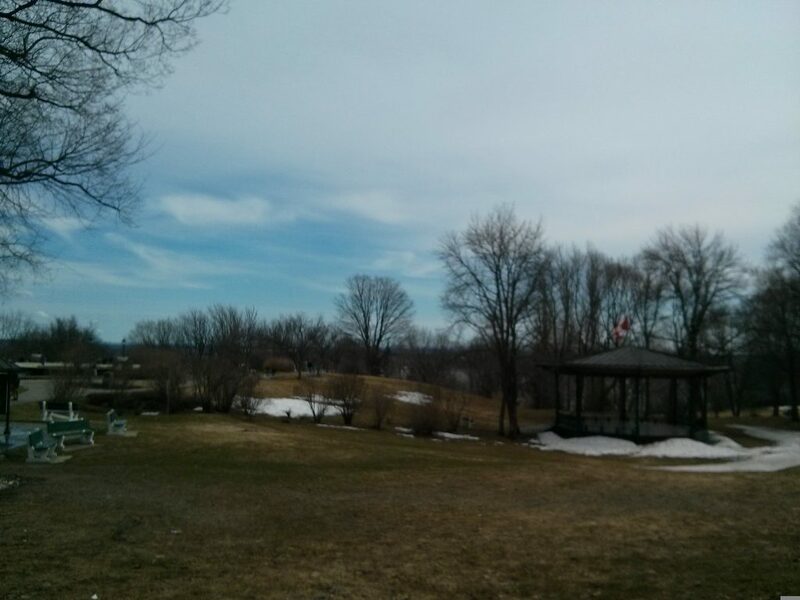 The Plains of Abraham are the battle site where the British defeated the French in 1759 during the Seven Years’ War. Today it’s a lovely park, perfect for a jog, a picnic or some fun with friends and family. If you keep walking left (your left facing the water) you’ll get to the Promenade des Gouverneurs. Follow the stairs and soon enough you’ll see the Château Frontenac in front of you in all its majesty. 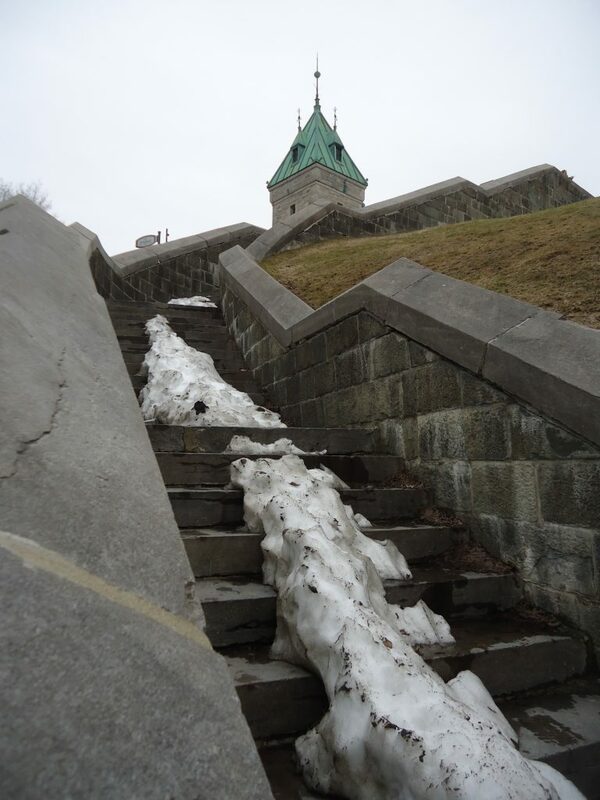 If you follow the stairs going down from the Château (right beside the funiculaire), you’ll reach the lower part of Old Quebec, another treasure full of art, museums, churches, colorful little shops and restaurants. Rue du Petit-Champlain, especially, is one of my absolute favourites in Canada: it feels like a warm hug of color and coziness. Also, it doesn’t really get more European than this, so for me it triggered a sort of unconscious feeling of nostalgia. I loved walking around the Citadel. You can actually climb on top of the walls and walk your way around, admiring the city below and having fun spotting groups of young kids hiding to smoke and drink beer. One end of the Citadel is also fairly close to the Parliament Building, a nice Second Empire style building, home to the Parliament of Quebec (free tours available). Last but by no means least, there’s the Chute-Montmorency, an incredible waterfall higher than the Niagara Falls. Nestled in a beautiful and lush park, this waterfall is simply epic. The suspension bridge stands only a few inches over the fall, so you get to see it as if you were about to fall down into it. 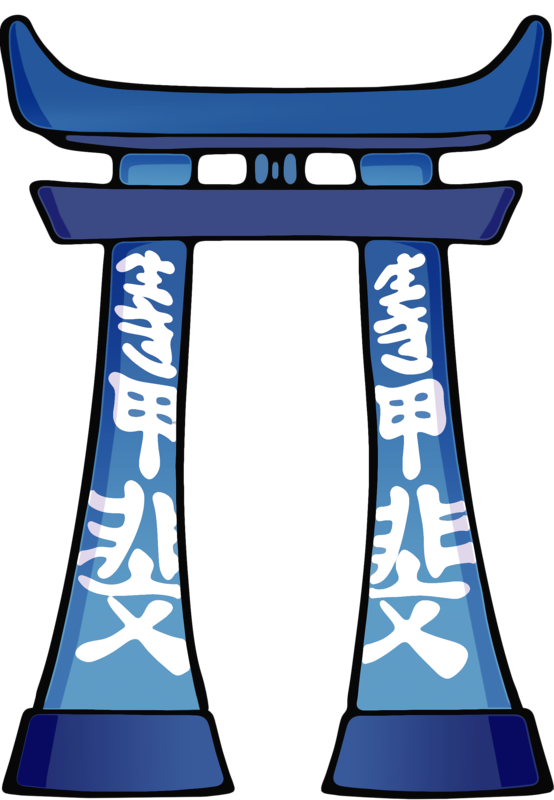 And the other viewpoints are positioned so well that you get a great view from every possible angle. 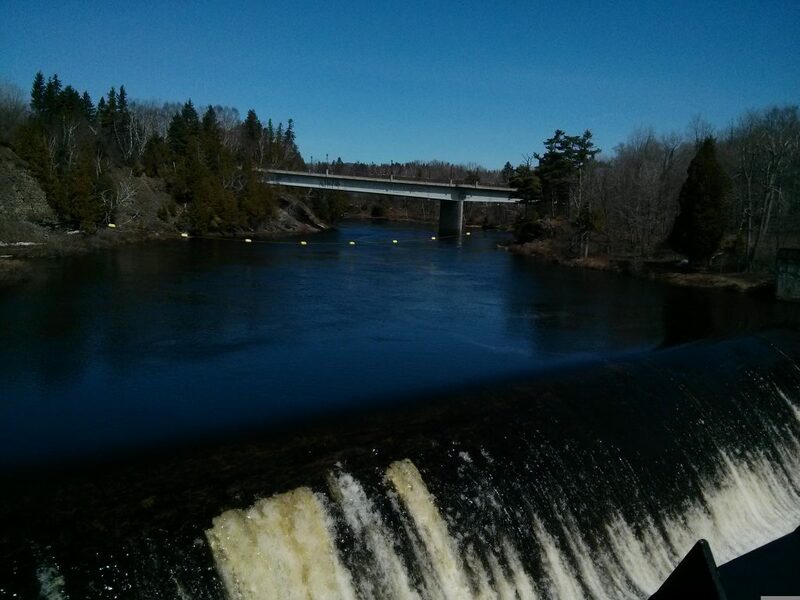 Despite not being as huge and powerful as the Niagara Falls, the Chute-Montmorency is, in my opinion, superior in every other aspect. No hordes of tourists, wonderful nature and only a bus ride away from Quebec City. Quebec City is pretty small, so 2 days could be enough to visit it all. However, I’d highly recommend to take your time and stay a bit longer. 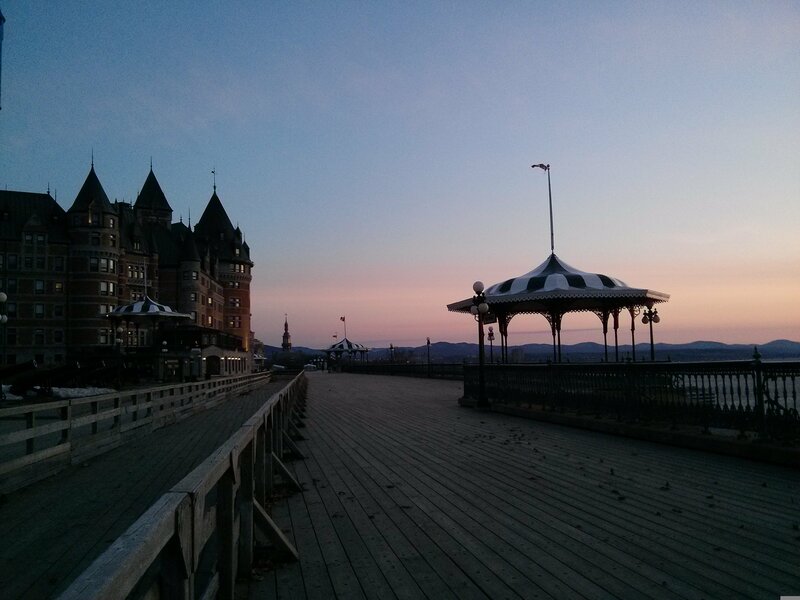 One day itinerary: Plaines d’Abraham, Promenade des Gouverneurs, Terrasse Dufferin, Château Frontenac, square and lovely streets around it, Petit Champlain, walk along the water to the old harbour and go back up through the winding uphill streets. Citadel and chill. Two days itinerary: Day 1 + Sunrise at Château Frontenac, breakfast in the area, half day at the Chute-Montmorency (possible lunch at the Manoir right beside the waterfalls), shopping on Rue St. Jean or visit to one museum. Where to stay: Quebec City has countless hotels. 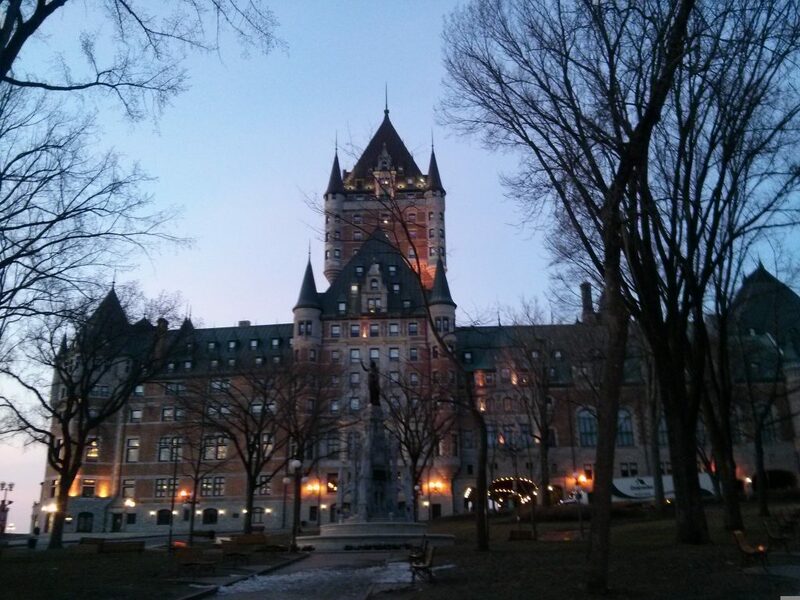 If you are a millionaire you can go all in and stay directly at the Château Frontenac itself. If you’re broke, definitely choose the HI Hostel! It’s in the heart of the Old Town, it’s spacious, has a big kitchen and common room downstairs where you can even order drinks in the evening. It even has a library room! And the staff organizes daily free tours and activities. Highly recommended. When: I’m sure every season is wonderful, but the cheapest and less-crowded seasons are fall and spring. 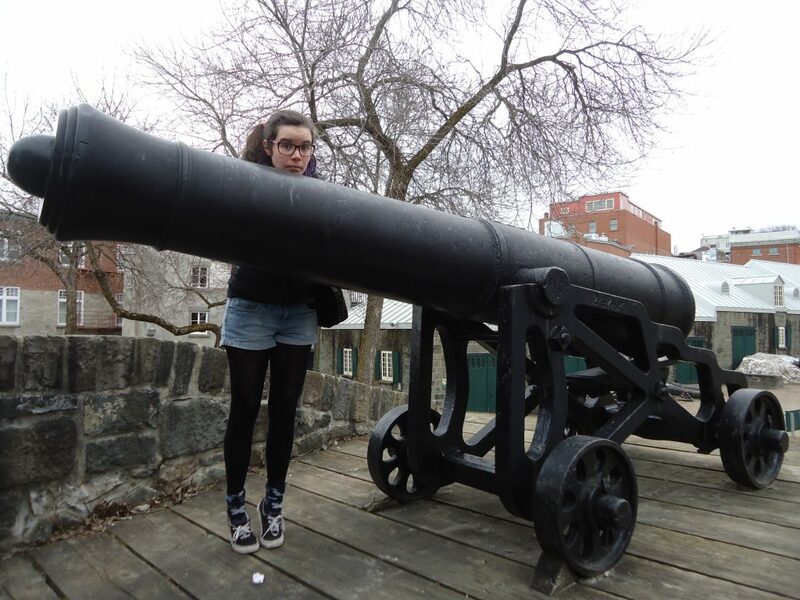 I really hope you’ll give Quebec City a chance, it’s really worth it.